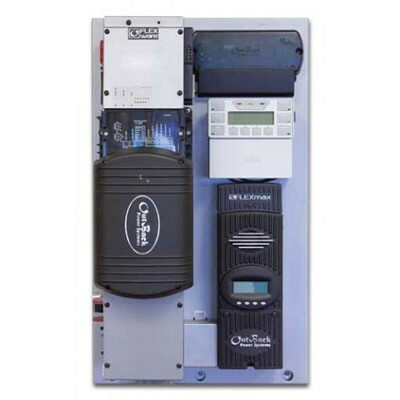 Outback FP1 VFXR3524A : Pre-Wired Grid/Hybrid Renewable System. 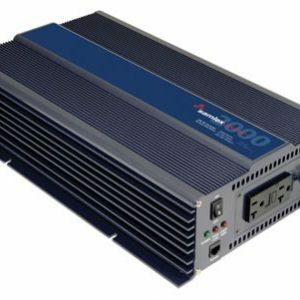 The most advanced grid/hybrid inverter/charger features on the industry’s most trusted platform. 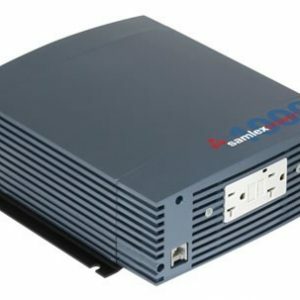 Ideal for residential applications including cabins, vacation homes, tiny houses, farm buildings, remote communications sites, & back-up power systems. All necessary components integrated into a compact hang-on-the-wall system with minimal footprint. This is a battery-based system that can interface with the utility, or other power sources, according to your needs. 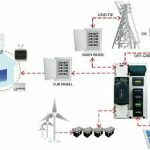 Mini Grid : When you are mostly off-grid, but have the grid as back-up. Grid-Tied : For regions where Feed-In-Tarrifs (FiT) or net Metering programs exist. 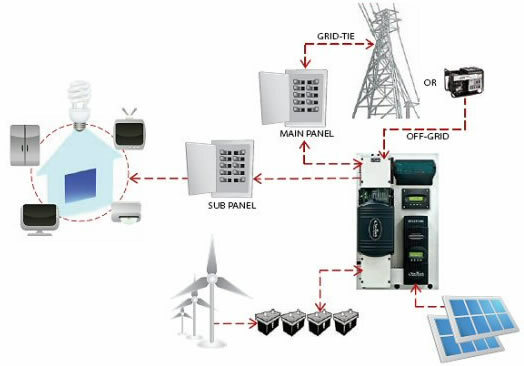 GridZero : Maximize your use of renewables, and minimize your purchase of utility power. Support : Use with small generators, or poor utility power. BackUp : For systems where computers & other sensitive loads are present. UPS : Where uninterrupted power is mission-critical. Generator : For systems with undersized, or low-quality generators. 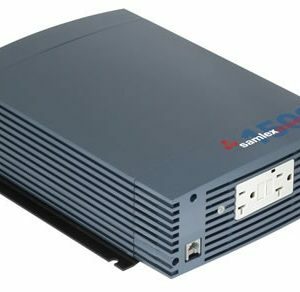 The Outback Power VFXR3524A Grid-Hybrid Renewable Energy Inverter Charger. The latest, most advanced features on the industry’s most trusted and proven platform—that’s the essence of OutBack’s new VFXR Series of Grid/Hybrid inverter/chargers. 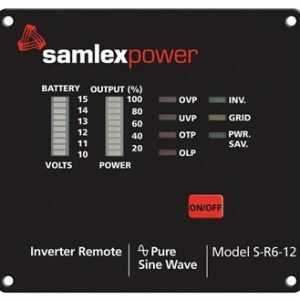 Capable of off-grid or grid-connected operation in a single model, the VFXR Grid/Hybrid inverter/chargers provide system flexibility and compatibility for nearly any power conversion scenario. Vented unit with die-cast aluminum chassis. The FXR’s continue in OutBack’s tradition of absolute dependability in mission critical installations no matter how harsh or challenging the conditions. For information on the other components included in this pre-wired solution, consult the Outback Power website.